In most cases, mesothelioma will have developed as a result of asbestos exposure at work, at a non-work environment or via contact with products that contain asbestos fibers. When it does, mesothelioma patients may have legal options for seeking financial recovery and justice. At the Amaro Law Firm, our attorneys are experienced at helping mesothelioma patients successfully pursue the compensation they deserve. Diligent, tenacious and compassionate, our mesothelioma lawyers are ready to help you figure out your legal options and provide you with extraordinary representation moving forward. During your FREE consultation, we will review your potential claim, answer your questions and explain your legal options. If you can’t visit our offices, we offer free virtual and mobile consultations. Asbestos exposure causes mesothelioma. While certain factors can increase the risk of developing mesothelioma (following exposure to asbestos), those who tend to have the greatest risk include those who work, attend school or live in an environment with asbestos fibers. This can include construction, demolition and abatement workers, as well as those who go to school and/or live in older buildings that contain asbestos in flooring, insulation, ceiling and/or roofing materials. Whether the condition has spread (metastasized). Generally, however, chest pain, fever, fatigue and chronic coughing are among the more common symptoms of mesothelioma. For those who have a history of asbestos exposure, it is important to be familiar with these symptoms – and to seek immediate medical attention if they do arise. In most cases, mesothelioma is diagnosed in stage 3, when symptoms tend to be more serious, prominent and debilitating. For all mesothelioma patients, the earlier the condition is accurately diagnosed, the earlier appropriate treatment can begin – and the better the prognosis will likely be. Tragically, however, it is not uncommon for mesothelioma to be misdiagnosed, particularly in earlier stages of the condition. Staging mesothelioma involves determining the severity of the condition and whether the tumor(s) have metastasized. While stage 1 refers to the least severe form of mesothelioma, stage 4 is reserved for the most severe and life-threatening cases. Mesothelioma staging is a key part of the diagnostic process. It is also central to determining the best treatment options for a particular patient. The best course of treatment for mesothelioma will depend on the severity and nature of the condition, as well as a patient’s overall health. Generally, surgery, radiation and/or chemotherapy are the standard options for treating mesothelioma. Alternative treatments to provide emotional and/or physical relief from the impacts of mesothelioma. When it is time to pursue a mesothelioma claim, the source of asbestos exposure will be a key factor in determining the legal options available to a patient – or to a family who has lost a loved one to mesothelioma. 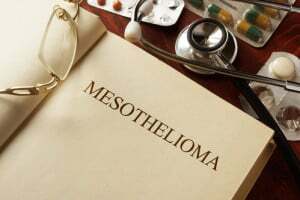 In general, mesothelioma claims can be personal injury claims and/or workers’ compensation claims, which may be resolved in or outside of court. In some cases, patients and families may have more than one available legal remedy for seeking mesothelioma compensation. Resolving your claim as favorably and efficiently as possible. Optimal chances of bringing your claim to the best possible outcome. While we know that compensation can never erase an incurable condition or permanent loss, we are also aware that financial recoveries for mesothelioma claims can provide the means for seeking treatment and restoring lives. A mesothelioma lawyer at the Amaro Law Firm can provide you with the representation, guidance and support necessary to successfully resolve your claim and maximize your recovery. We represent clients from across the U.S. in various types of mesothelioma claims. Call (877) 892-2797, text (281) 612-8024 or email our firm for your FREE, no obligations consultation and important answers about how to proceed. The Amaro Law Firm’s record of superior representation and success with mesothelioma (and other) claims has earned us outstanding testimonials from our former clients, as well as 5-star ratings on Google and Facebook.